You spend a large part of your day in the kitchen. The average Canadian spends an average of two hours a day on meal preparation, eating, and cleaning. If you have a large family, this number is probably closer to three or four hours a day. For this reason alone, it's worth making sure your kitchen is an enjoyable, comfortable place to be. Doesn't a cozy kitchen sound better than a stark, medical-feeling kitchen? By making a few small changes, you can make your kitchen even more inviting. That way, the space becomes more than a place to whip up dinner and do the dishes. Instead, it transforms into a dynamic and exciting place to spend your time. Consider these tips to turn your regular cooking space into a cozy kitchen you'll want to spend time in. Your kitchen won't be truly cozy unless it has comfortable seating. After all, if you want your kitchen to be a nice place to spend time, it needs to have a pleasant spot to take the load off. 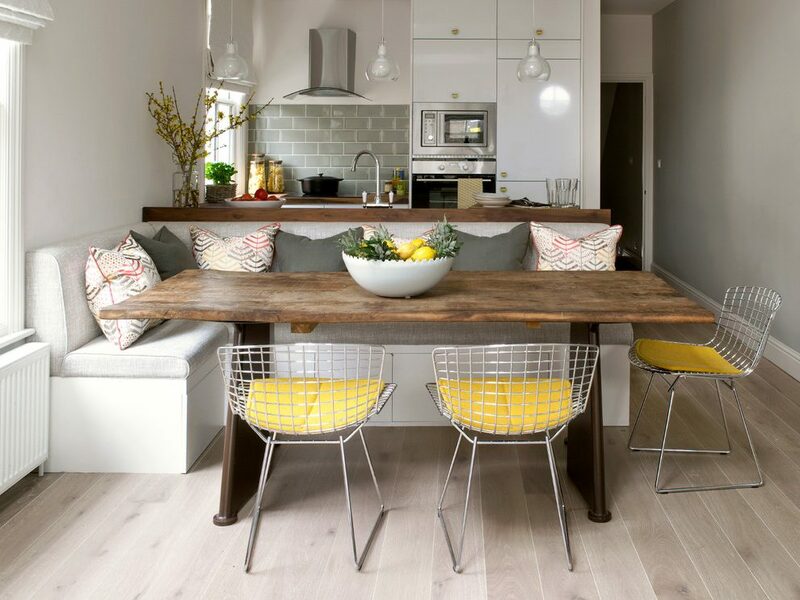 We recommend centring the seating around a central piece of furniture (like an island or dining table). If you have the space for an eat-in kitchen, this is a simple way to create a cozy kitchen. Even if you are lacking in space, you can still give your kitchen a bit of depth. Use an island or small table to expand counter space, and select a few barstools or chairs. This way, your family can grab a healthy breakfast or catch up over a mid-afternoon snack. Adding a bit of seating also makes your kitchen a good spot for treating guests to a homemade cocktail. There are plenty of other ways to give your kitchen some vibrance. Try adding some decorative towels or knick-knacks you've picked up along the way. You can also add some interesting wall art to create a focal point in your design. Want to save money while still bringing some personality into your home? Try picking up a few gallons of paint and adding a new colour to your walls! A fresh paint job will give your kitchen a new sense of character. To add a bit more flair, choose a bold colour for a focus wall, and paint the rest of the walls a more subdued colour. After you paint your kitchen, it's time to consider your existing lighting fixtures. It may be time to replace the light bulbs with something brighter, or to spruce them up with more modern styles. Changing the lighting in your kitchen is a simple way to brighten up the space. Natural lighting is also something you can take advantage of. If your windows are covered up by drapery or blinds, brightening your kitchen can be as simple as opening them up! For a bit of privacy, consider using sheer panels as drapes. These will allow light to flow through your window while still providing you with an extra layer of protection. 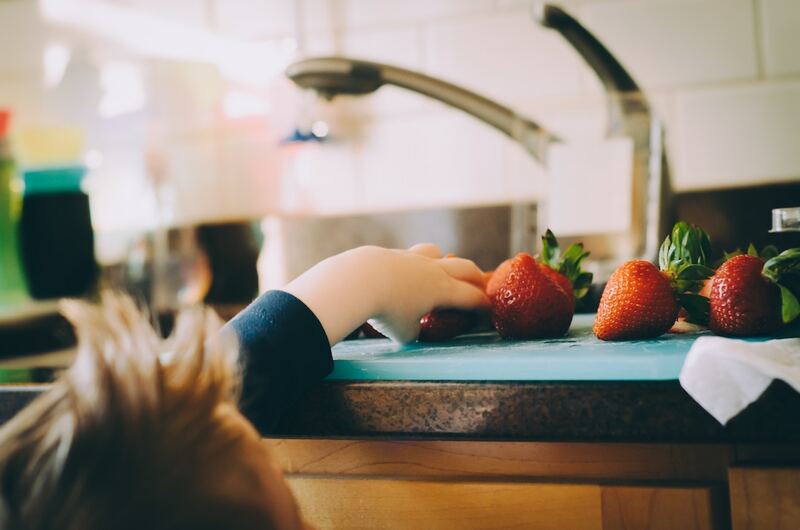 Do you find yourself avoiding your kitchen due to the mess on your countertops? You're not alone! 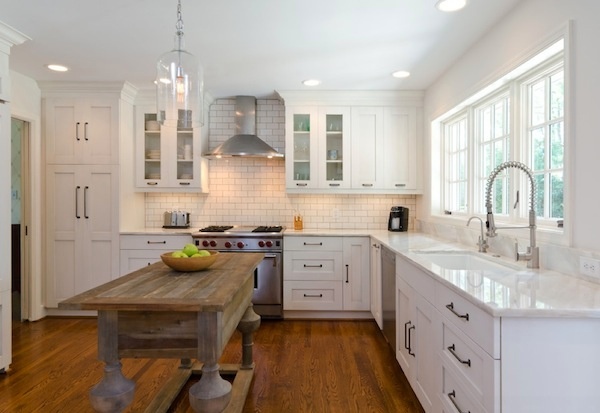 Research has found that clean, open spaces are appealing, while cluttered countertops are not. Luckily, this is an easy and straightforward problem to address. First, find ways to get organized. Clean up your old junk mail and drawer, sticky notes, and other items that are piling up. Reduce the number of decorations taking up space on your counters. This will help create a calmer atmosphere in your cozy kitchen. You should also make sure your family is on board with staying organized. 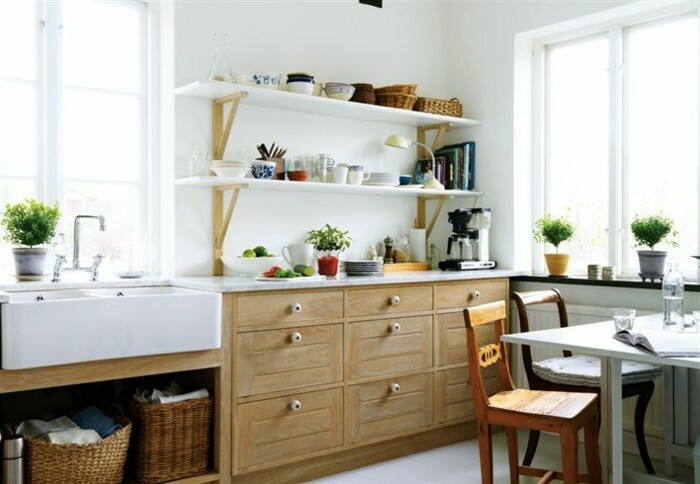 Next, consider ways to increase the amount of useable space in your kitchen. Hanging pots and pans overhead can be efficient and stylish, but can look crowded. Instead, try installing a magnetic knife strip on the wall. This will give your kitchen a level of visual depth while improving accessible areas. You can have one for knives, and another for lighter pans. And finally, don't underestimate the power of putting utensils and appliances away when you're finished with them. Keeping your cabinets and drawers organized will help compel you to actually use them! A cozy kitchen isn't only about having a small space or the feeling of warmth. It's also about having a sense of soul, which can come from living things like plants! A few well-places plants is a great way to make your kitchen feel alive. There are dozens of low-maintenance plants available that will look great in your home! You can even decorate your window sill with planted herbs or other edible plants. That way, you can decorate your kitchen while filling your space with home-grown produce. Despite all the work you put into making your kitchen more inviting, it can all be for nothing if you let a mess build up. It's important to keep everything spick and span, since you won't want to spend time in a dirty or messy kitchen. Try to clean up as you cook to reduce the time it takes you to clean after a meal. And set aside time each week to clean the bits of your kitchen that you can't get to during your regular routine. If you've gone through all the steps above and think your kitchen needs something extra, upgrade an appliance or fixture. The perfect sink or faucet may be enough to give your kitchen that extra appeal. When you upgrade your fixtures, consider trying a different finish like brass or brushed bronze. Whatever your kitchen update needs are, one of our knowledgeable showroom consultants can help. Stop by your local Kitchen & Bath Classics showroom to get started.